Download car templates for PowerPoint and keynote slides. These templates are mainly useful for car dealers, communities dedicated to cars and other related topics. 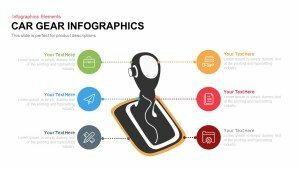 Download the different shapes and templates for PowerPoint with excellent car elements including the speedometer, tachometer, car clipart and other nice graphics for PowerPoint presentations. 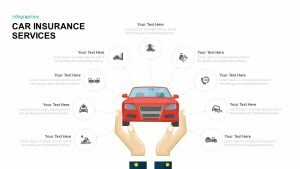 You can easily demonstrate the various aspects of insurance of the car plans, the sale of the car and maintenance of the car with car PowerPoint templates. The template here is entirely customizable to give you more freedom with the final design of your presentation. The pre-made designs of car templates here are beautiful and easy to edit. You can also use add-ons, extensions or plug-ins to introduce other elements into the main design making the templates very attractive. As per the workability of these templates, there is no reason to worry for they work beautifully and interactively in all devices. This premium and free professional looking templates will attract the audience tremendously, and this will give your businesses the desired exposure and sales figures for sure. 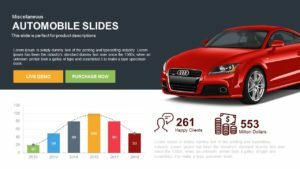 Check out the classy car PowerPoint templates and make some wise decisions to make use of them.